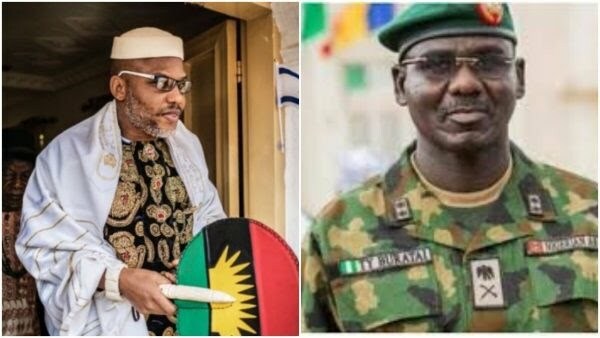 The Indigenous People of Biafra (IPOB) has declared that it will instantly end all agitations for an independent state of Biafra if certain standard democratic norms are embraced by the Nigerian government. The group’s spokesman, Emma Powerful, made the declaration while responding to the question whether the emergence of a president of Igbo extraction in 2019 can end the agitation for Biafra. He said, “Nothing can make IPOB back down from this divine quest to restore the lost sovereignty of Biafra. Only the will of the people, clearly expressed during a referendum. We hear Nnia Nwodo, Ohanaeze Ndigbo, Igbo governors and Abuja-based errand boys, that we ignorantly refer to as politicians or elites, tell us South East and South South people do not want Biafra, which is a lie. On the possibility of coming to the negotiation table with the FG, IPOB maintained that Nigeria is not yet civilised enough to understand what dialogue means.